An outstanding 41-disposal performance from Nick Hind has thrust the speedy half-back into the mix. An outstanding 41-disposal performance from Nick Hind has thrust the speedy half-back into the senior selection conversation following an impressive outing against Box Hill in the VFL. Hind’s dynamic run off half-back and through the middle of the ground was a constant, as too were his penetrating kicks (27), strong marks (nine) and ability to weave through congestion to drive Sandringham forward. Yet his consistency didn’t translate for the Zebras, who conceded 11 goals in the second half after a promising opening to go down by 41 points at Marvel Stadium. The efforts of Luke Dunstan (37 disposals) and Jonathon Marsh (17 disposals, six marks) punctuated Hind’s performance, with both providing plenty of run and grunt across the afternoon as they hunt for their debut in the red, white and black. Dunstan lined up for 25 of the Zebras’ 28 centre bounces, with his effective clearance work and hardness at the contest giving the home side every opportunity to score; a lot of which stemmed from Billy Longer’s dominant efforts in the ruck. Marsh meanwhile fired out of defence on multiple occasions, utilising his strength and vision to help launch into the offensive end led by Bailey Rice, who battled tirelessly to put together an “outstanding” game in the eyes of coach Aaron Hamill. “[Our game] was disappointing in the end from a differential point of view, but we’ll look at the positive stuff which was generally the second quarter,” Hamill told saints.com.au. Doulton Langlands’ ball-use was effective through the centre and paired well with his bursts of speed before his impact was quelled in the second half, while David Armitage’s midfield experience was on show against the storming Hawks. Elite runner Ed Phillips finished with 30 touches and got better as the game went on, with his running endurance a defining feature throughout his game and giving the young wingman a shot at a senior call-up. Robbie Young offered plenty of forward pressure and capped off his afternoon with a goal, yet the inside 50 discrepancy in the second half (16-30) limited his influence later in the contest. But it was ultimately Hind who was the standout. The pick No. 54 in last year’s draft showed promise throughout the JLT Community Series, but was picked in favour of key position defender, Callum Wilkie and fellow mature-age recruit, Matty Parker. 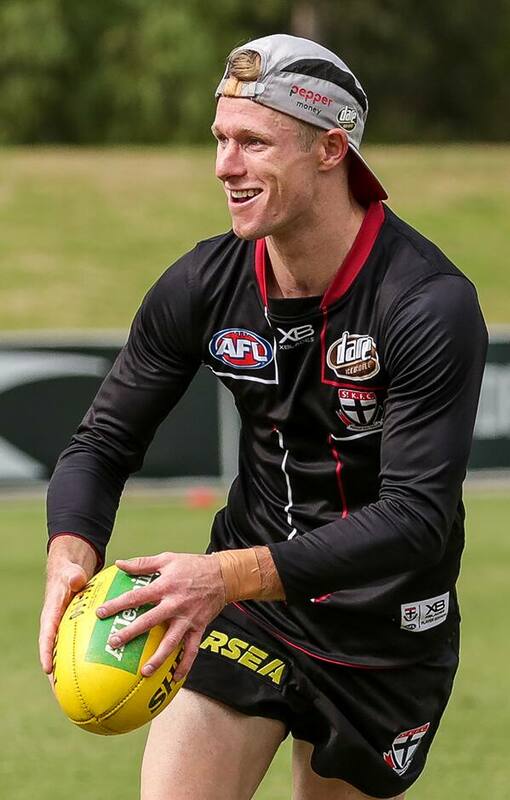 Now off the back of his explosive outing, Hind could fast-track himself into the senior side for St Kilda’s upcoming clash with Melbourne next Saturday at the MCG. Sandringham will return to its traditional home of Trevor Barker Beach Oval to take on the undefeated Williamstown next Sunday at 2:10pm.